Kin Canada clubs offer opportunities for people of all ages, with different interests and time availability to volunteer. 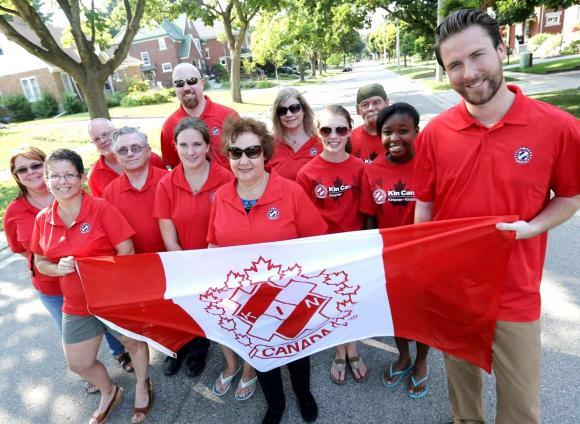 By volunteering with your local Kin Canada club at events and service projects, you will support the efforts of Kin members who are working together to better your community. You will enjoy volunteering with a diverse and spirited group and can create life-long friendships while having fun and working with others. Through a variety of service projects organized by our clubs, Kin Canada has helped thousands, if not millions, of people in need. Kin members can proudly say they have contributed more than $1 billion to Canadian communities, including more than $45 million for cystic fibrosis research and treatment. They have also raised hundreds of millions of dollars for parks, playgrounds and community facilities, as well for individuals and families in need. Since 1920, Kinsmen, Kinette and Kin clubs have offered community-minded people -- like you -- the opportunity to make their town or city a better place to live. Using our find a club feature, contact your local club for volunteer opportunities. For more information about our clubs, how to start a new club, or becoming a member of Kin Canada, contact us at kinhq@kincanada.ca or 800-742-5546, ext. 201.